50 Hikes in Vermont, by the Green Mountain Club. 7th Edition, 2015. 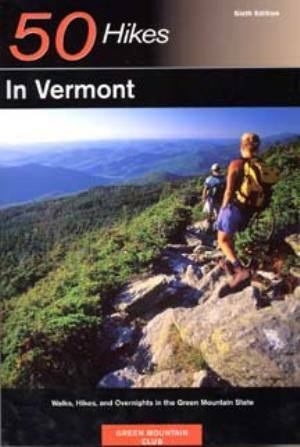 Describes hikes across the Green Mountain state from ¼ mile to 14 miles in length, including many classics. Info on geology, history & wildlife. Revised 7th edition includes several new hikes. Topo map for each hike. 240 pp, 6” x 9”.